Pebble Custom Matchbook Golf Kit. These uniquely packaged sets of custom printed, essential fairway gear are sure to score with any golfing crowd. Compact and efficient, each is neatly fitted into a personalized, coordinated matchbook style container displaying your name or message. 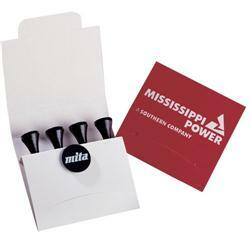 Includes ball marker and 4 biodegradable tees. 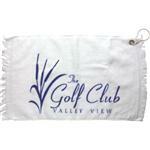 Need help with other golf items or suggestions for your event? Why not call our knowledgeable salespeople at 888-332-ADCO. Available Imprint Options: Price includes printing on Packet. 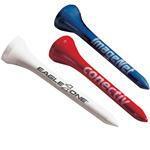 For Marker or Tees, add additional set-up charges (run charges waived).